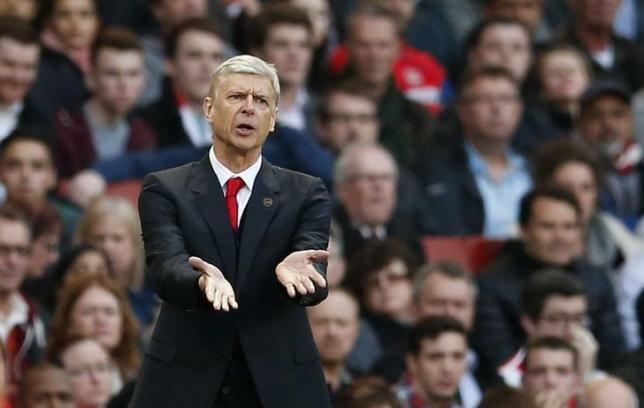 LONDON – Arsene Wenger will seek to guide Arsenal to a record 12th FA Cup triumph when they face Aston Villa on Saturday and become the most successful manager in the history of the grand old competition. Yet as the Frenchman homes in on winning the trophy for the sixth time — one more than his former Manchester United sparring partner Alex Ferguson — Wenger promises the landmark does not concern him. Pitted against famished Premier League opponents Villa, who are desperate for success after a 19-year trophy drought and faced a relegation battle this side, Wenger’s side are ready to retain the trophy they won last year against Hull City. A sixth FA Cup win for Wenger would create a record in the modern understanding of a manager, though Villa’s manager/secretary George Ramsay oversaw six FA Cup victories between 1887 and 1920 and was the driving force behind their success. Wenger has had the same kind of impact at Arsenal since he arrived in 1996, but says setting an individual landmark does not particularly bother him. “I’d love to do it but I’m not honestly focussed on that,” the Frenchman told reporters in the build-up to the final. To do so, though, Wenger will have to get the better of Tim Sherwood, who helped secure Villa’s top flight status and has led them to a first FA Cup final in 15 years. Sherwood has brought back a glimmer of Villa’s glory days, especially by masterminding the stirring victory over Liverpool in the semi-final, though it is 58 years since they last lifted the trophy. This season’s competition has echoed Arsenal’s road to glory last year as they laboured to overcome second-tier Championship opposition Reading in the semi-final to set up a showpiece match with Premier League relegation escapees. For Hull last year, now read Villa, who would seal a place in next season’s Europa League with a victory at Wembley. Arsenal, though, having broken their own nine-year trophy drought at Wembley last term, are not under quite the same pressure as they were to win it last year. “The demand was absolute last year,” said Wenger, recalling how his future was seriously questioned before the Hull game. The Gunners’ most demanding fans will expect nothing less than Wenger picking up his ninth major trophy.